My name is Matt Martire, owner of Viridian Property Care. We are a fully insured lawn care company based out of Hopewell Junction and servicing Fishkill/East Fishkill and surrounding areas. Don't have the time or energy to keep your property looking beautiful? Then you've found the right place! 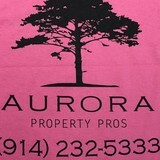 I'm prepared to keep your property in top shape throughout spring, summer and fall. Call or text me at 845.240.0362 to reach me for a free estimate! We offer regular landscaping maintenance for commercial and residential properties, spring and fall cleanup, pressure washing and gutter cleaning services, light to medium tree pruning, driveway sealcoating and 24/7 snow removal through the winter season. Coupe's Cuts Lawn service is a full service lawn care provider based in Carmel, NY. We have been providing quality lawn and landscape care services to Putnam and lower Dutchess counties since established in 1998. We put an emphasis on customer relationships, quality work, and reliable service. Coupe's Cuts Lawn Service has been providing quality lawn and landscape maintenance services for over 10 years. We take pride in our work and treat your property as if it were our own. Contact us to receive a free estimate. Summer Rain Sprinkler Systems, Inc. is recognized nationally as one of the top 100 irrigation companies in America and locally as the leading irrigation company. Our design team works with the layout of your lawn and landscaping to create the most precise sprinkler placement possible. Our custom-designed systems are the primary choice for award-winning landscape designers, commercial contractors and residential homebuilders. Most importantly our expert service department provides top-quality follow up and maintenance programs with crews ready for same day service. 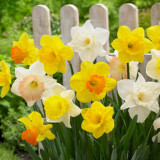 In addition to the maintenance side of gardening, Gaylordsville, CT gardeners can help you with garden design and choosing specific plants and grass types for your climate and area. Find a Gaylordsville, CT gardener on Houzz. 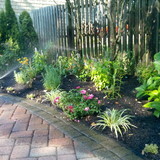 Narrow your search in the Professionals section of the website to Gaylordsville, CT gardeners. You can also look through Gaylordsville, CT photos to find examples of yards that you like, then contact the Connecticut contractor who worked on them.